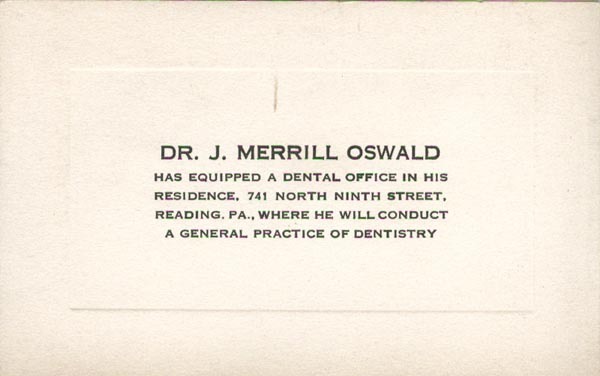 Dr. J. Merrill Oswald, has equipped a Dental Office in his Residence, 741 North Ninth Street, Reading, PA., where he will conduct a General Practice of Dentistry. Are you looking for OSWALD ancestors? If so, we suggest posting a query to our Community Message Board to get assistance from other researchers.